The Forensic Process, Principles, and Practice. Forensic Science and Evidence. The Investigative Star in Crime Scene Investigation. 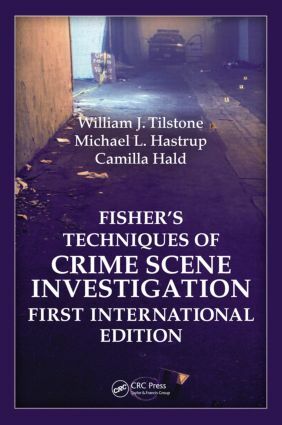 The Forensic Process: Performance, Practice, and Procedures of Scene Investigation. Practical Scene Investigation: The Body in the Woods. Practitioner Competency, Professionalism, and Codes of Conduct. Forms of Evidence, Identification, and Recovery. Establishing Personal Identity. Trace Evidence and Miscellaneous Materials. Forensic Biology. Impression Evidence. Firearms Examination. Arson and Explosions. Scene Investigation and Type Of Crime. Illicit Drugs and Toxicology. Investigating Sexual Assault. Burglary Investigation. Motor Vehicle Investigation. Homicide Investigation. Appendices. Bibliography. Index. William (Bill) Tilstone has a B.Sc. and a Ph.D. from the University of Glasgow. He spent seven years as a lecturer in the University?s Department of Pathological Biochemistry, where his research on drug kinetics in overdose and on the biochemistry of the body?s responses to major trauma led to his introduction to forensic science. He was a lecturer in forensic science at the University of Strathclyde, also in Glasgow, where he worked for 12 years and served as a professor and head of the Forensic Science Unit for six years. While at Strathclyde, he was actively involved in casework, mainly in forensic biology for the public prosecutor and in toxicology for the defence. Bill left his academic position to become the first director of the newly established Forensic Science Centre in South Australia, a position he held until 1996, when he accepted the position of Executive Director of the National Forensic Science Technology Center (NFSTC), in Florida. This history has given him a unique blend of experiences in forensic science, including practical casework, teaching, and research, as well as executive management in academia, government, and private business, covering three different countries. He has contributed more than 100 papers and reviews to the literature and two books in addition to the present work. After retiring from the NFSTC in 2007, he continues to serve as the quality manager and assessor for an American forensic accrediting body and has also maintained his academic links in Scotland.